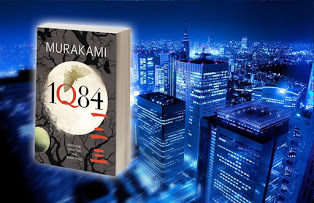 I finally bought Murakami`s new book. After all, who needs a hardcover? I`m poor. So far its very promising, starting off weird from the very beginning. I wonder what strange things will happen this time...I feel very close to Aomame, seeing as I`m very good at the stone face as well. People only call me beautiful when I smile. I don`t know. Lately I`ve been letting myself get depressed, which is not good! No good at all! I should snap out of it! Only...its not that easy, right? I didnt get the job at the newspaper, so now I`m working at a hotel. Still wondering what to get for my boyfriends birthday since the idiot already bought the present I wanted to buy him for himself!